On Saturday 2nd Feb the Tap Room will be once more filled with sweet sweet music. Stalls will occupy the room with an awesome variety of styles and genres. 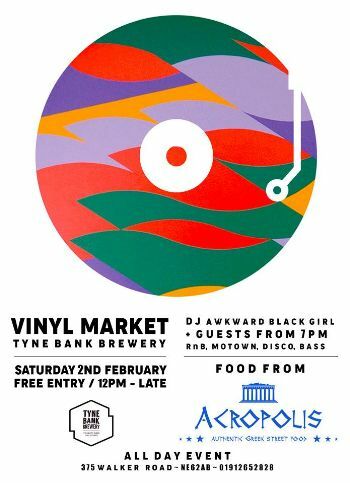 Our very own DJ Awkward Black Girl will be spinning tracks from 7pm along with some special guests until midnight. Providing food throughout the day our friends at Acropolis Street Food will be serving up their legendary Authentic Greek grub. BRING CASH FOR STALL PURCHASES. Pillar Artists & Tyne Bank Brewery Tap present a free entry evening packed with the best live music available! LUX LISBON - The indie-pop/rock band will be treating attendees to a acoustic set; we don't know too much other than it will be truly spectacular, and especially atmospheric in the setting of Tyne Bank Brewery. Josh Hodgson - Constantly impressing audiences with a phenomenal voice, hauntingly beautiful songs and humble approahc to music, Josh is a talent to be heard. 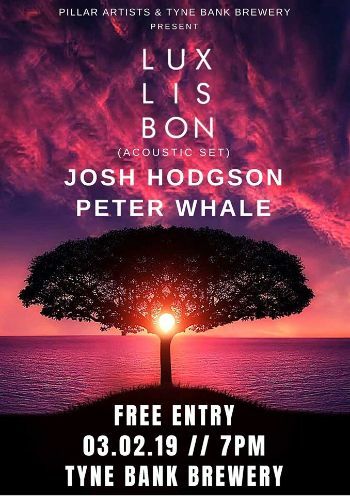 Peter Whale - Active amongst the live music scene both playing and hosting acoustic gigs himself, we're in for a fantastic treat as Peter takes to the stage in this wonderful venue. We have live music from the cream of the crop of local talent. 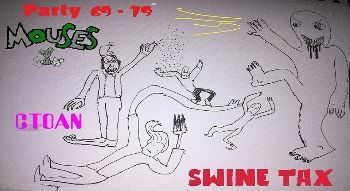 There'll be cartoon drawing, light painting, projections, mocktails and of course fresh beer from our tap room. As a new year commences it's important to remember what “New Year, New You” means. Transform yourself. Learn a new language. Read more books. Become a Vegan. Go Travelling. Follow your dreams. Whatever changes you make, some things remain the same. 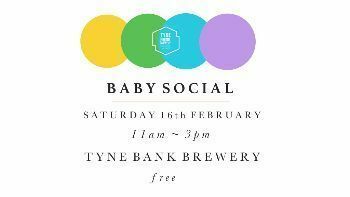 The Tyne Bank Brewery Baby Social is back this month & you’re all invited. The heaters will be on. Get cosy with some sharing boards and let the young un's socialise! We'll have some Amble butcher's pies, fresh coffee on the grind and all the usual home made brownies, flapjacks, caramel shortbreads, Proven Doughnuts & meat & cheese boards & nachos.